Bang on time we left Falmouth Docks at 0830. The ship is so quiet many of us didn’t realise we’d started moving. We dropped the pilot off once clear of the docks. Ship pilots work for the port, rather than they ship. They know the sea in and around the port very well, so ships use them to guide into and out of the docks. Once we were clear of Falmouth, a fast boat came alongside us to pick up the pilot and take him back to shore. The weather is remarkably sunny and calm. In fact we have some spare time as our first planned work is to start at 0500 tomorrow, and it’s about 15 hours to get to the work site. 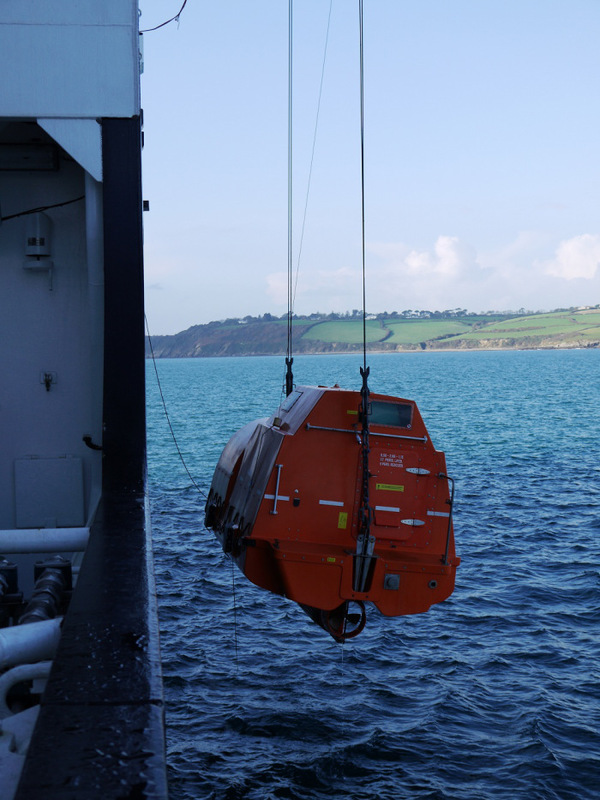 So, the ship’s crew have been testing one of the lifeboats – making sure that the davits (or cranes) that are used to lower it into the water work, and that the lifeboat’s engine is fine. Preparation of the laboratories continues, with the lab space gradually becoming clearer. Note in the picture below the typical fashion of the scientist at sea: lab coat, hard hat, lab groves, and also stell-toecapped boots. 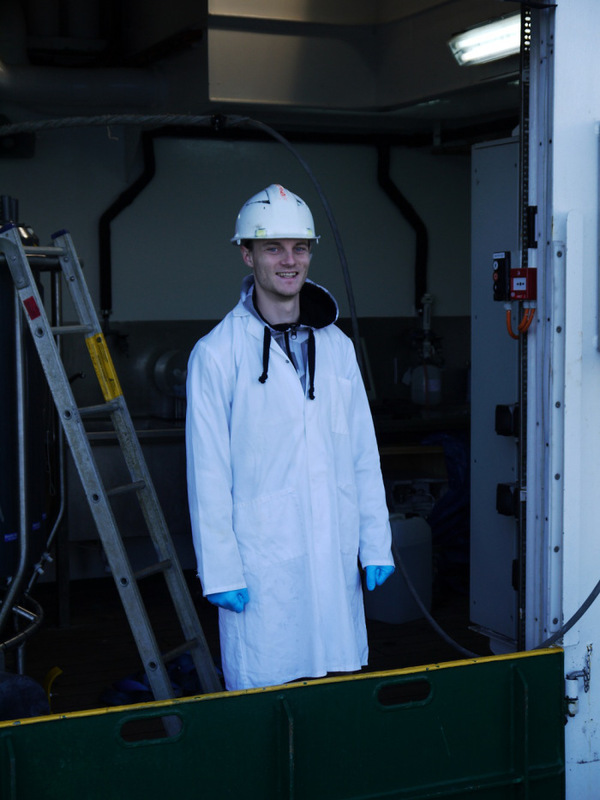 This is Matthew Bone (from the University of East Anglia); he will be working on how nutrients are released from the seabed at the start of winter.